Beautiful dress with a woven quality from HAPPY HOLLY. 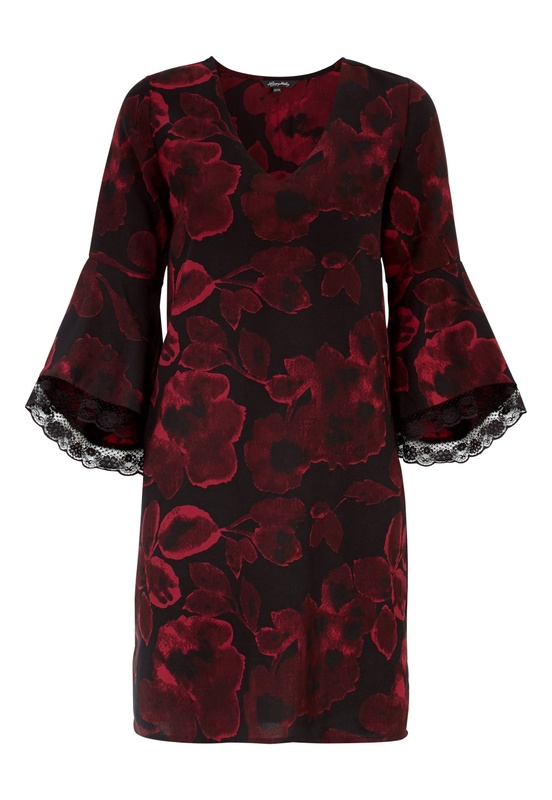 The dress is slightly flared and has fancy flounce sleeves. Back length from shoulder 90 cm, bust 97 cm in size 36/38.